When someone says they are adventurous, do they mean they can jump off a plane? climb up a mountain? catch a grenade? do things like that? 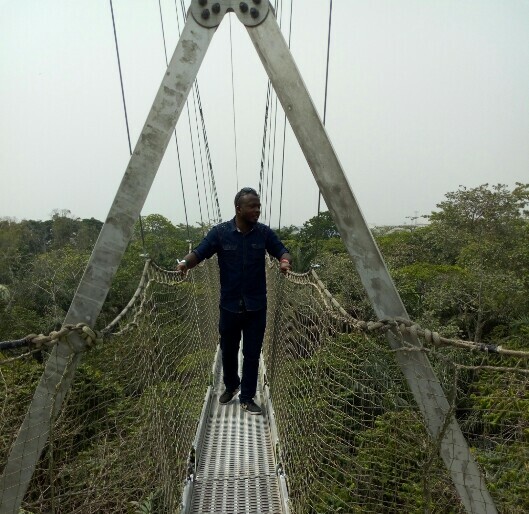 This is not my first time at The Lekki Conservation Centre (LCC), one of the best natural reserves in Nigeria but it is my first time on the canopy walkway. What an experience! I've always known I'd walk on this thing one day but I didn't know I'll be doing it in 2018. Lol. 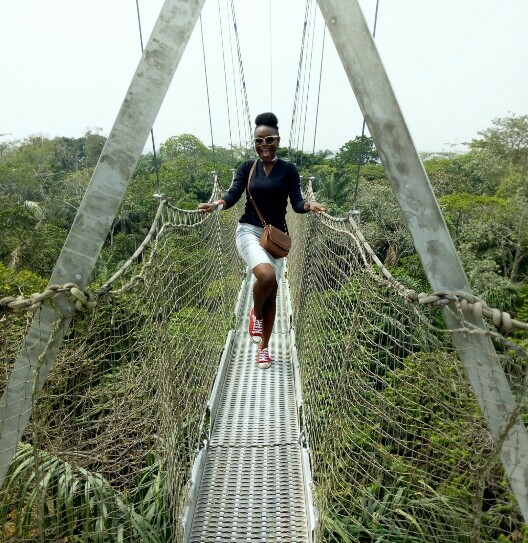 Just so you know, the climb is not for the faint-hearted; only the brave and fearless climb on the longest canopy walkway in Africa. 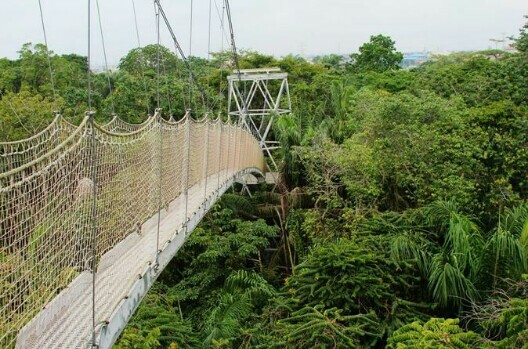 Climbing this bridge will sure bring out the other side of you. 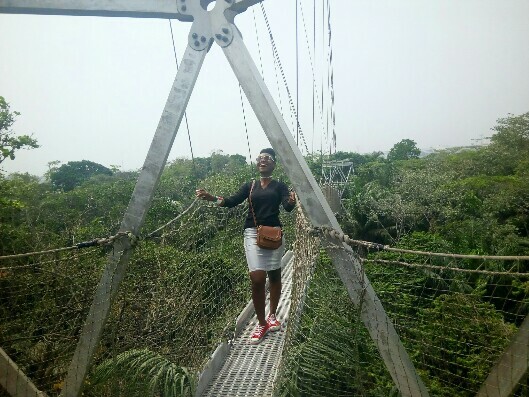 If you had considered yourself adventurous, you'd ascertain the reality of that fact as soon as you step your foot on the canopy walkway. First, I was VERY scared because it was a really shaky climb. Then, I got REALLY pumped up when I got used to the shaky climb. 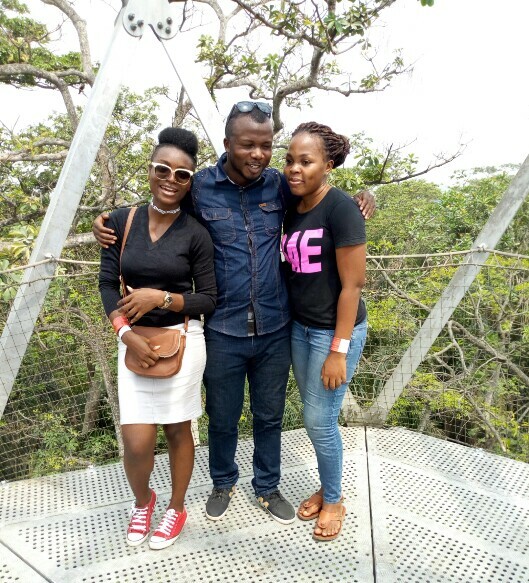 That time we made it to the highest point of the walkway which is 22.5 feet above the forest ground level, tree top level! Oh my God! I was thinking of many different things, like the rope cutting off, everyone falling off and crying with prayers unto God. Help! Help! Help! 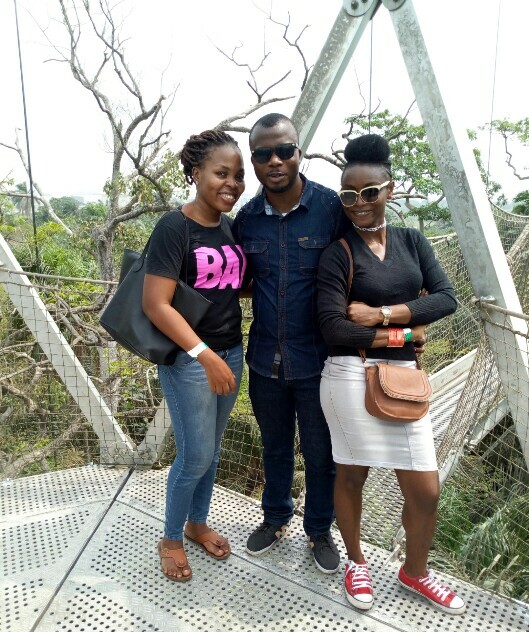 Among the planning committee members, only Chioma, Kachi (previously seen here and there) and I were available to go make enquiries about the place. 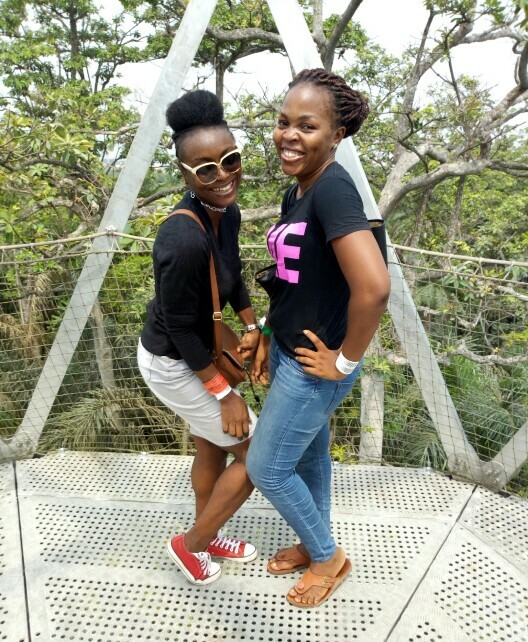 So in our quest, we found ourselves on the longest canopy walkway in Africa! 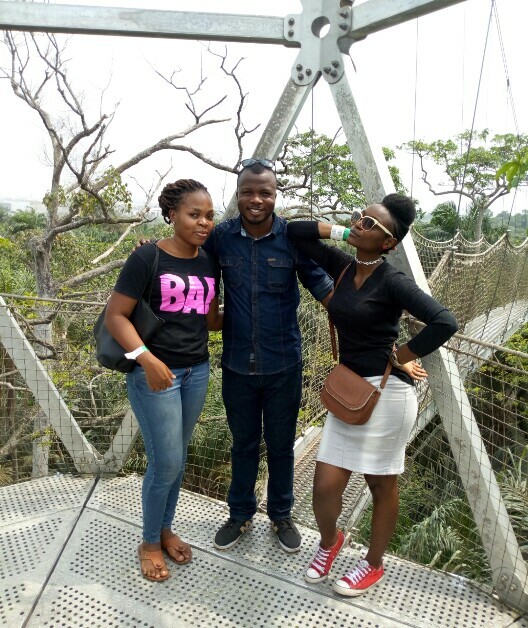 I said NO while at Lekki, but I am saying YES now as I draft this post to relish the experience. 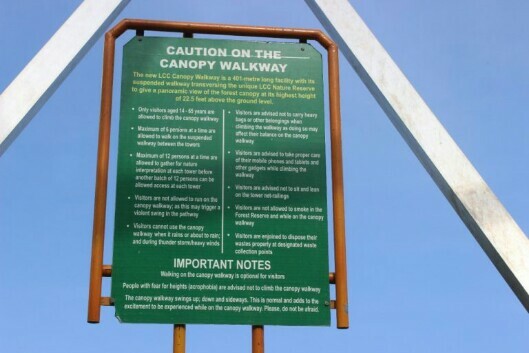 Yes, I would love to do the canopy walk again. RELATED: Last Weekend Was Fantastic! 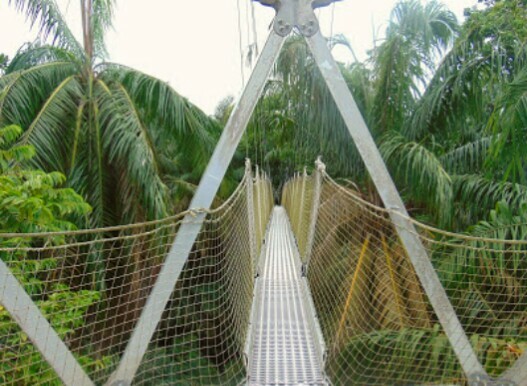 After my first canopy walk, I realized something. I am adventurous. Maybe not by others' standards. But while I was high up in the sky, I decided to take the chance of exploring the world. To go on an adventure. 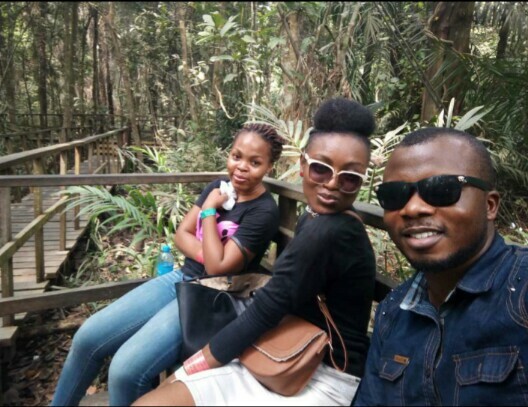 An adventure full of new experiences and reliving old experiences once again with fresh eyes, and creating memorable memories that will last a lifetime. Chioma got so cranky and scared. Only for her to get off the walk to form Gangster. lol. smh. 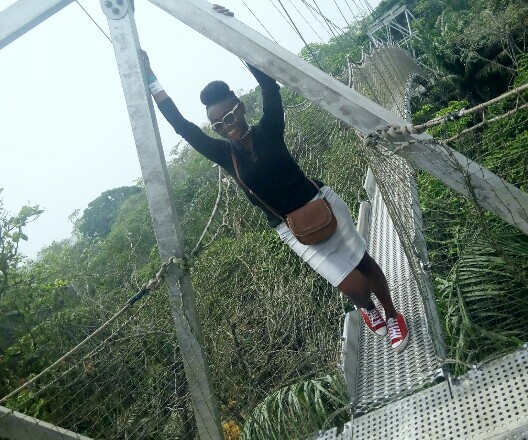 Kachi was forming Spiderman by walking fast on the thing. And did I mention that it is really ‘swingy’?? If you are afraid of height, don't it. DON'T. If you are ready to let go of your fear for height, then please do it. DO IT. DON'T WEAR HEELS. It's not that kind of event/place. Wear flats. Travel light. Don't carry a heavy bag. Be adventurous. Go have fun! I hope you enjoyed this post. Share your experience if you've been there and done it. 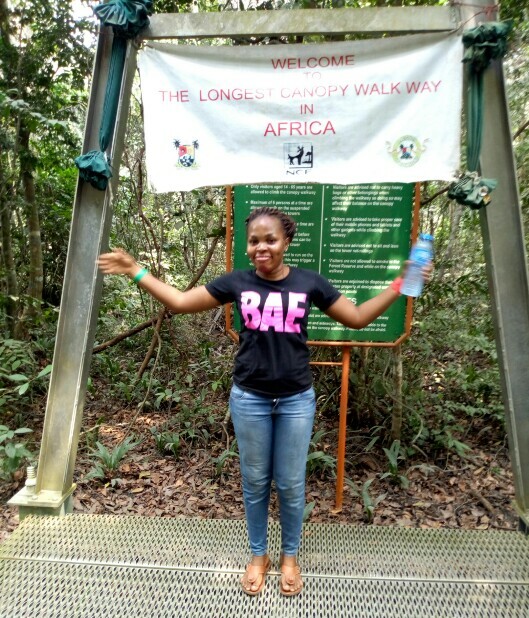 P.s It's N1000 per adult to do the canopy walk. What does adventure mean to you? 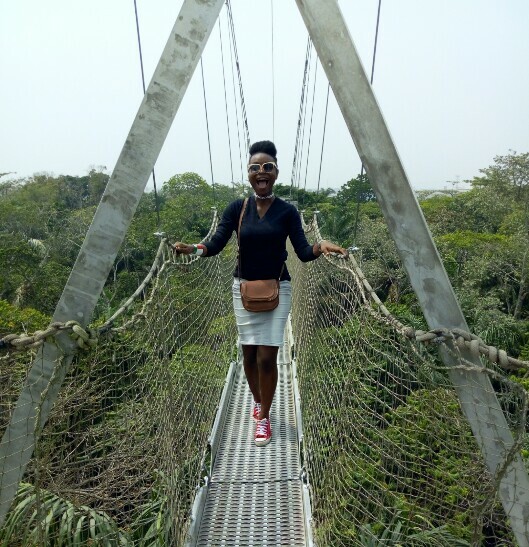 Do you consider yourself adventurous? Dear Diary, I Am So Happy For Bola Like! PHOTO: What Is Art, Really?